Something is happening on Choros Island, Chile. Imagine a penguin poking his head above the sea, looking around in all directions. He wants to be sure there is no threat nearby before jumping to the closest rock. Once on land, with little jumps and steps, he decisively walks up the cliff to reach a safe place. 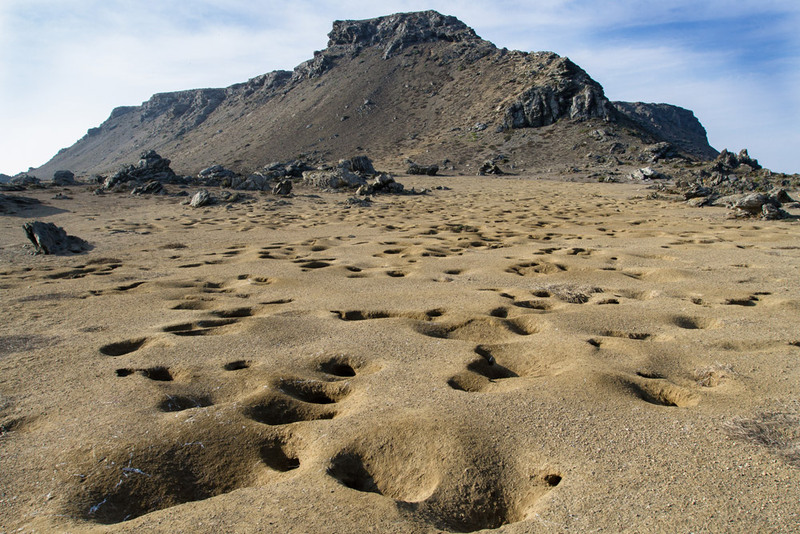 Hundreds of other penguins do the same to get to their nesting sites on Choros Island. I am talking about the Humboldt Penguin (Spheniscus humboldti), ranked by the International Union for the Conservation of Nature as Vulnerable. 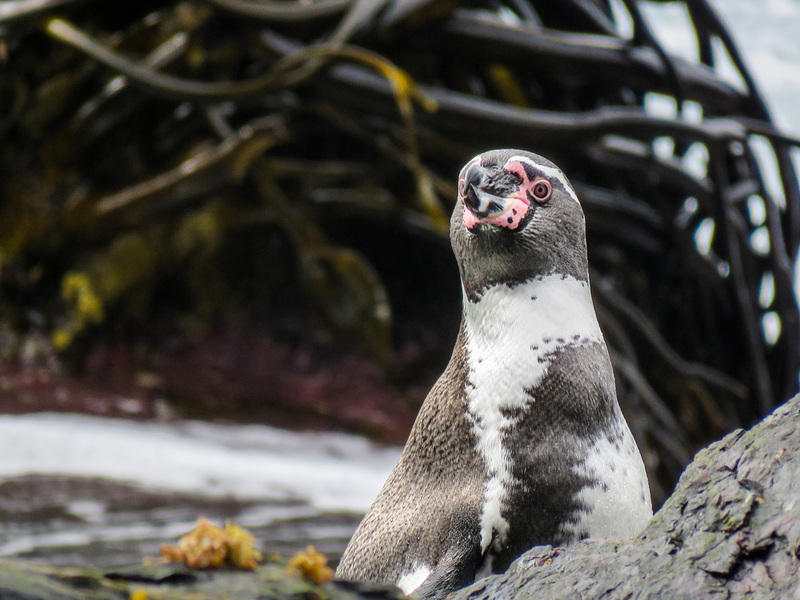 Chile harbors around 75% of the world population of this species, mostly nesting on Choros Island and on Chañaral Island, which are both part of the Humboldt Penguin National Reserve, Chile. The Endangered Peruvian Diving-petrel (Pelecanoides garnotii), a bird from the same order as petrels and shearwaters, also nests here. These two seabird species face numerous problems in the ocean, including the reduction of food availability, and mortality as a result of bycatch or hunting by the fishing industry. In addition to this, their nesting sites have been reduced. 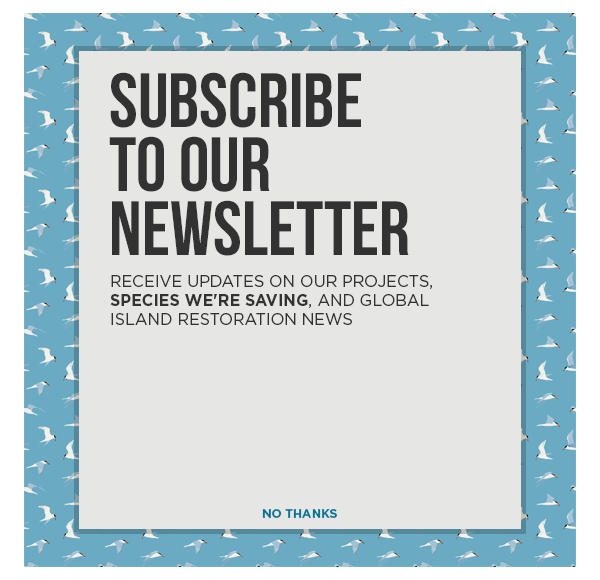 This is why the islands they breed on are so important–any conservation action to restore them will directly benefit the Peruvian-diving Petrel and Humboldt Penguin populations. 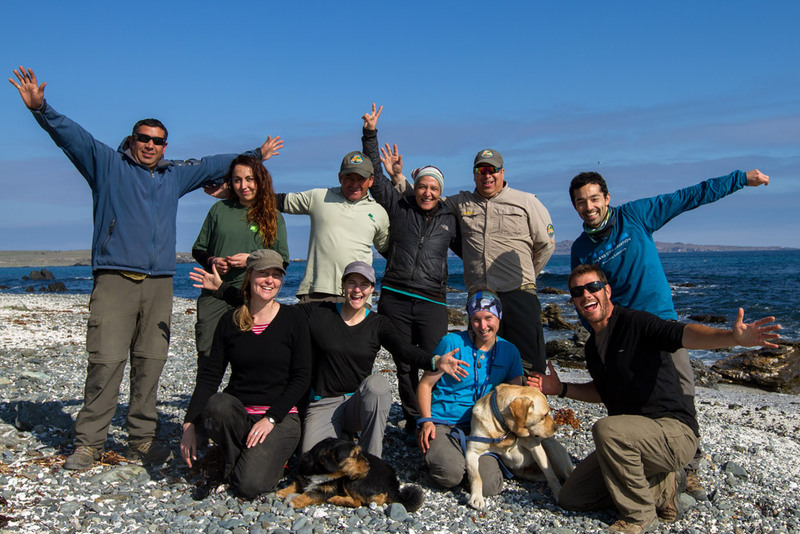 Choros was one of the islands where Island Conservation, in partnership with CONAF (Chile National Forest Corporation in charge of the administration of the Chilean protected areas), decided to work, due to its global relevance. 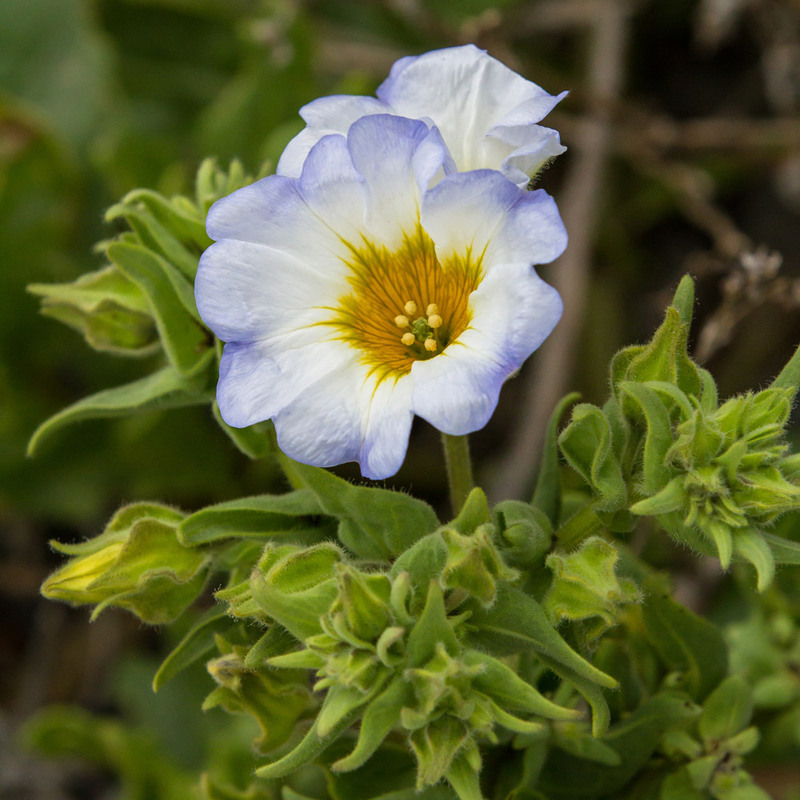 Choros is home not only to the Peruvian-diving Petrel and the Humboldt Penguin, but also to endemic plants of the desert region of Chile, such as Alstroemeria phillippii and Nolana acuminata. This brief description of Choros may sound good so far, but in fact, the ecosystem of Choros recently underwent severe degradation. What affected the balance of this place? What was responsible for the deterioration of this ecosystem? It was not, as you may expect, direct exploitation of the island’s natural resources, but rather a much more silent threat: the presence of European rabbits, an invasive species introduced by humans who did not know the damage they would do to the island ecosystem. Invasive rabbits occupied the marine bird’s burrows, increased erosion, and devoured native vegetation. All these impacts happened in unison–converging to a dangerous point. The collapse of the entire ecosystem was imminent. Why do I speak in past tense? Because invasive rabbits on Choros island are history! In 2014, and after two years of various fieldwork campaigns, we were able to confirm that every invasive rabbit was successfully removed from the island. This brought concrete benefits very quickly. In the absence of voracious herbivores, many plants started to recolonize places they were previously unable to, and today, with just a scant amount of rain and morning fogs, flowers can now grow and provide refuge for many birds and invertebrates. 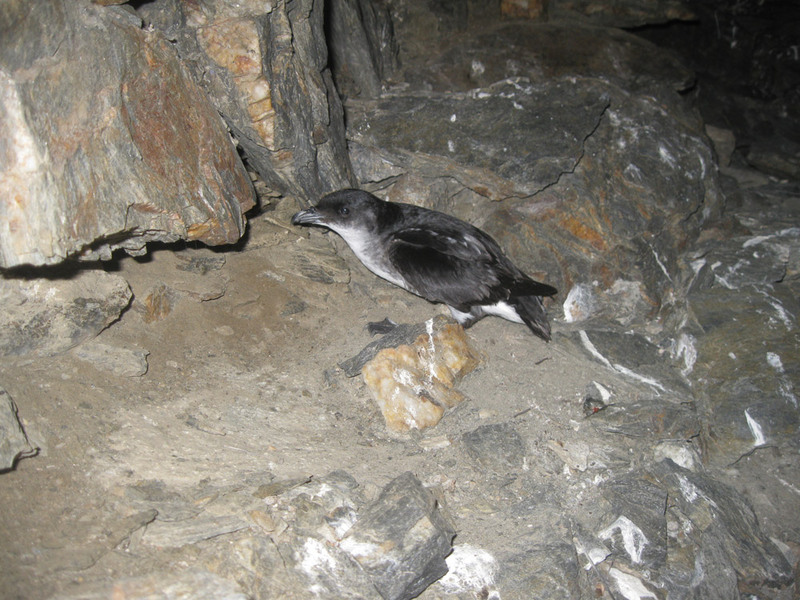 Penguins and diving petrels have a safe environment, without disturbances, where they can return every season to secure the existence of new generations. Magic is already happening on Choros Island. But this outcome was not a spontaneously generated success; the recovery of Choros Island is the fruit of hard collaborative work to protect native species. This is a story of great achievement in conservation which we should feel proud of–and with that (and I´m speaking as a Chilean), our current and future duty is to continue to take care of this incredible island.